Are Excuses Holding Us Back from Change in Education? I recently got into a discussion about 1:1 devices. My argument was that we needed to be pushing for more devices in primary school as a part of the long term plan, not just in 7,8 and 9. The response I got in return was that 1:1 wasn’t viable for the taken on and BYOD simply wouldn’t work with our community. 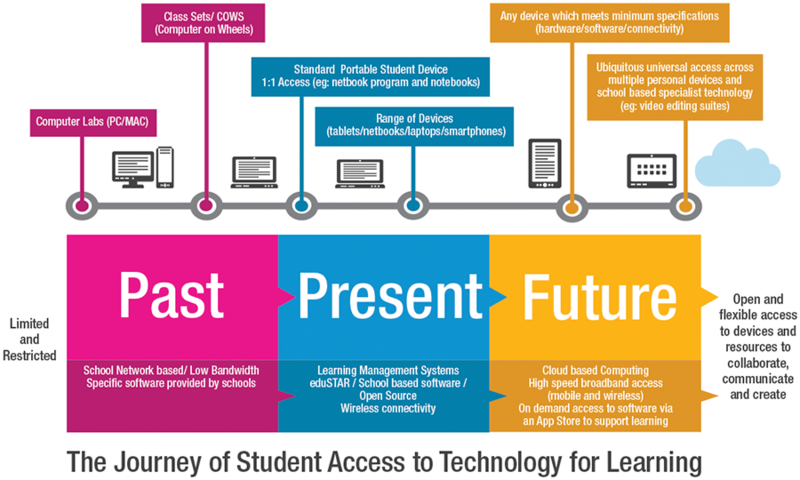 We are currently situated somewhere between the past and the present having 1:1 in secondary, but predominantly depending upon netbooks in trolleys. What was disappointing was that the future being proposed from above was barely beyond the present and definitely far from the future. Although we have moved beyond technology being something done in a lab, the dependency on trolleys still makes it an event. +George Couros sums this dilemma up best, suggesting that “technology should be at the point of instruction and be as accessible in learning as a pencil.” Sadly, this dream seems to be a world away. Having done a lot of reflection lately on the matter, I had a realisation that a part of the problem isn’t that I am not dreaming big, but rather that I am not dreaming big enough. For I recently caught myself making the same excuses that I was being so critical of. I had gotten involved in a debate about pedagogy and integrated curriculum. As much as I agree with inquiry-based learning in whatever guise it maybe, as demonstrated through my past posts, I still had my reservations and subsequently caught myself making excuses why such methods don’t, can’t and wouldn’t work at all schools. My thoughts were that it wouldn’t be appropriate for all clientele, that it required a certain type of student, from a certain type of background. However, what I was denying was that such views and opinions were not only based on innuendo, but also hindering the potential to bring about such change. It can be so easy to make an endless list of excuses why things won’t work, why we can’t do something. However, how often are these statements based on sound reason? Too often our excuses are based on myths, someone else’s stories, a few numbers viewed out of context. In addition to this, such beliefs actually become a self-fulfilling prophesy where we predict failure, rather than believing in success. This was all brought to a head whilst listening to a fantastic presentation by Andrew Solomon reflecting on difference and disability. 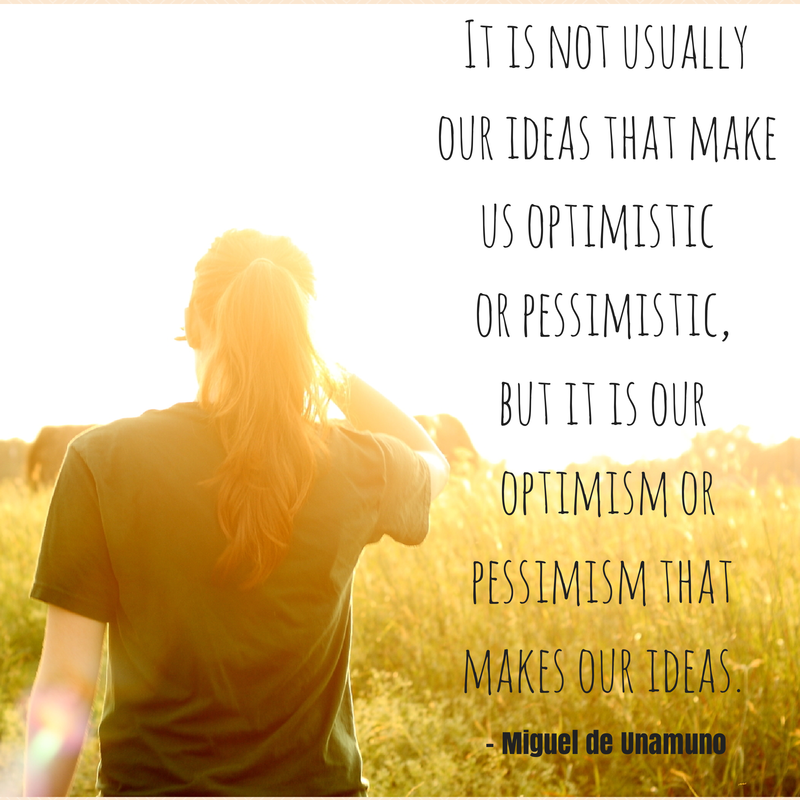 In it, he spoke about the choice we face, quoting Miguel de Unamuno,”It is not usually our ideas that make us optimistic or pessimistic, but it is our optimism or pessimism of physiological or pathological origin that makes our ideas.” Too often we think that it is our ideas that come first, but first and foremost it is our take on the world, our mindset, which dictates what we see and the ideas we produce. Although I felt that this was ill-thought out, it was certainly optimistic. Couldn’t argue with that. I think that the captain from Wall-e sums the situation up best when he says, “I don’t want to survive, I want to live.” Sadly, too often in education we limit ourselves to what we feel is possible, rather than start with what is impossible and work back from there. Are Excuses Holding Us Back from Change in Education? by Aaron Davis is licensed under a Creative Commons Attribution-ShareAlike 4.0 International License.